26 Printable Alphabet Bracelets. 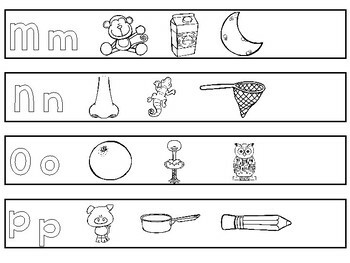 Preschool-KDG Phonics. 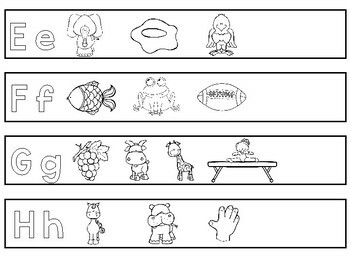 One of our Phonics Curriculum Downloads. 26 Printable Alphabet Bracelets. Have your child color the bracelet and then tape it together. 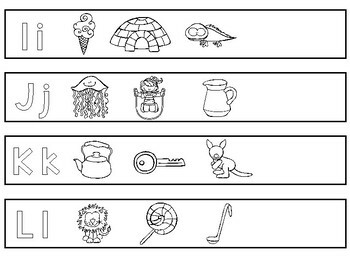 Perfect for a Letter of the Week activity! Prints 4 bracelets per page. 26 letter bracelets, 1 uppercase alphabet bracelet, and 1 lowercase alphabet bracelet. 28 bracelets total. Prints a total of 7 pages. 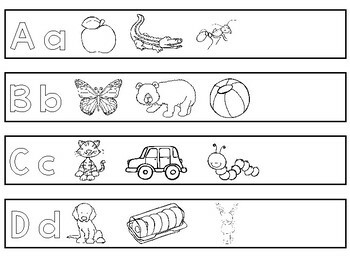 The worksheets were designed by Annette Sutherland (Owner of Teach at Daycare in Arkansas City Kansas). Please see our other great educational items in our store and thank you for visiting.